Water pooling on a deck in the spring time. When our calendars turn to March here in Chicagoland, there’s a feeling of deserved optimism in the air that’s almost inescapable. As the snow melts and the days slowly get longer, people get very excited for the start the spring and summer seasons. And rightfully so. Spending 3-4 months holed up inside your home during the winter months will do that to anyone. With seasonal change comes summer projects. That could mean washing a winter’s worth of dirt and grime from the house and walkways. Or it may be time to clean and treat your fence or deck, patio, or other backyard structure. Whatever it is, you’ll want to be a step ahead of the rest when it comes to scheduling your project. Any good contractor will tell you that supply and demand drives pricing. Whether it’s from vendors or to customers, getting in early is never a bad idea and can often pay dividends. There’s a reason you see so many “Early Bird Specials”, everyone likes a deal! Here at Two Brothers Residential Maintenance, we see such a surge in home maintenance requests during the month of April that by the end of May our lead time is often 6-8 weeks or more. If you value the time spent in your back yard this summer, now is the time to get your projects done. Call Two Brothers today for all of your project needs. What is it that we do at Two Brothers? Just about anything that involves the cleaning and preservation of your outdoor structures, walkways, and living spaces. Midwest seasonal changes wreak havoc on anything outdoors, and we’re here to help. 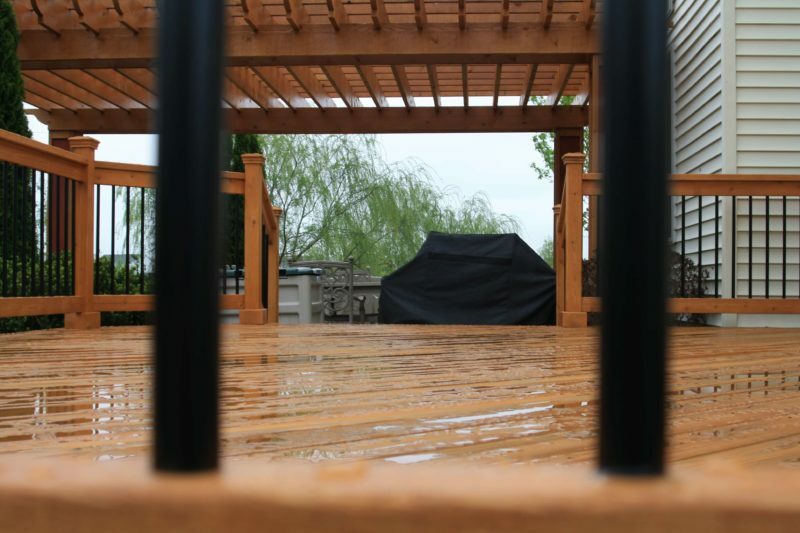 Pressure washing, deck/fence cleaning and treatment, and painting are just a few of the services that we provide. Considering building a new deck this spring, or resurfacing your existing framework with composite? We can help you from start to finish. From initial consultation and design, to permits and project completion, we do it all. Call us today for a no cost assessment of your project list, and you’ll be one step ahead of the rest.